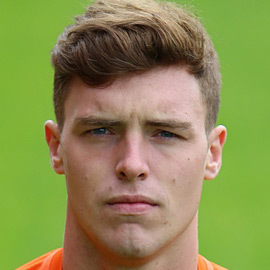 Robbie was a product of the youth system at Rugby Park, making his senior debut at the age of 17 in May 2013. He established himself as a first team regular very quickly under new manager Allan Johnston and represented Scotland at most levels up to U19, most notably scoring a 40 yard goal against Norway during Scotland's European Championship qualifying campaign. In the very last minute of the January transfer window in 2015, Robbie moved to United for a fee of £150,000 on a three and a half year deal. 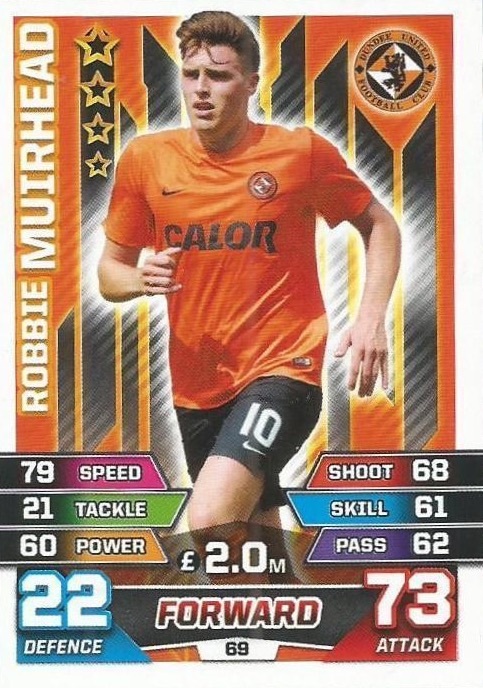 Robbie's appearances in Jackie McNamara's starting eleven were few and far between in 2015 and early in the new season, he moved to Patrick Thistle on loan until January 2016. He failed to break back into the first team after his return to Tannadice, and was released from his contract in April 2016. In June, he joined Hearts. Robbie was born on this date in Irvine. Rankin and Paton came into the midfield for this match as United looked to build on the good Cup win at Stranraer the previous weekend. 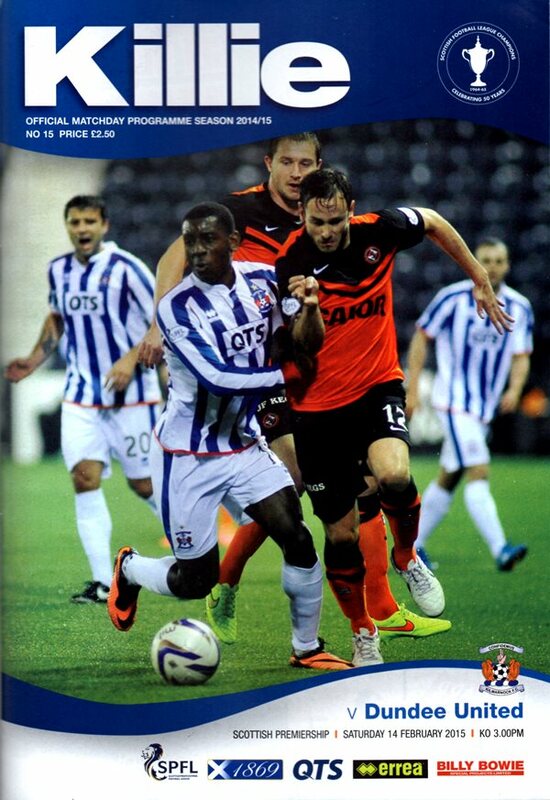 United would be eager to improve on their last visit to Rugby Park where they lost 2-0. United made only one change to the starting eleven that last week lost to Celtic, Nadir Ciftci returning from suspension and Chris Erskine dropping out of the match day squad after picking up a knock against the reigning Scottish Champions. United arrived in the Highlands in the knowledge that an away victory would place them just a point behind their third placed hosts with three games left to play. This was the first clash of a May double header in Inverness. Manager Jackie McNamara elected to stick with the same side that earned a great single goal victory over Aberdeen at the weekend. PFA Manager of the year, John Hughes, made two changes to his side, with Draper and Devine replacing Doran and the suspended Raven. With torrential rain having fallen all day in Inverness, the pitch was carrying a fair amount of water by kick off time. 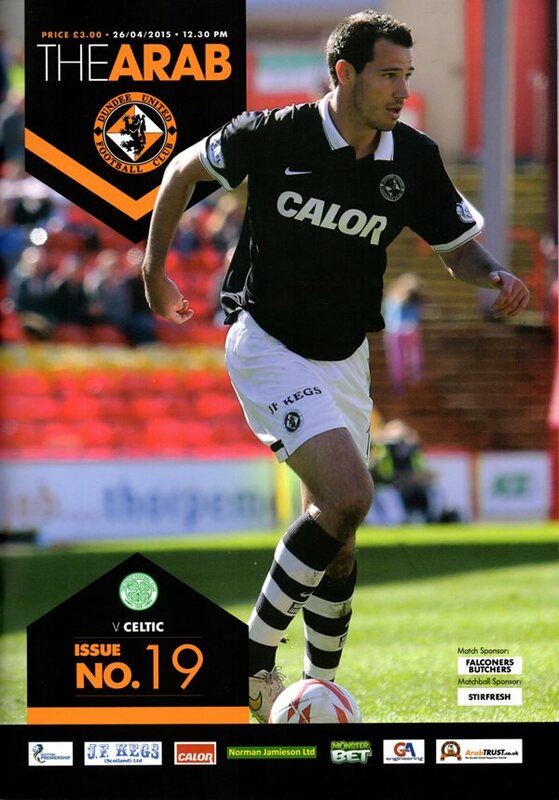 Following the defeat at Hamilton last weekend, Jackie McNamara rang the changes for United for the visit of Celtic. Club captain Sean Dillon, Scott Fraser, Chris Erskine and Robbie Muirhead all started and there was a place on the bench for youngster Harry Souttar and fit again Ryan Dow. Gary Mackay-Steven was in the starting eleven for Celtic with their new signing, Scott Allan, listed amongst their substitutes.